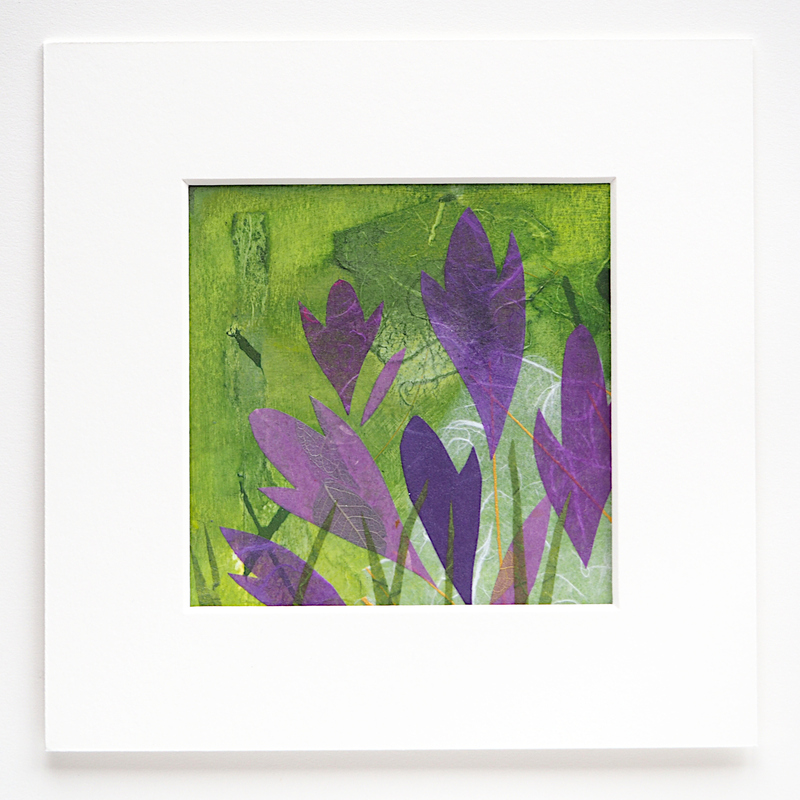 Small mixed media collage on paper. 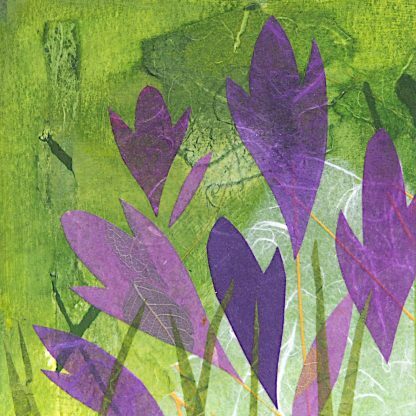 Purple crocuses on a green background. 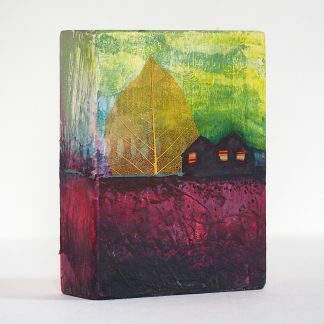 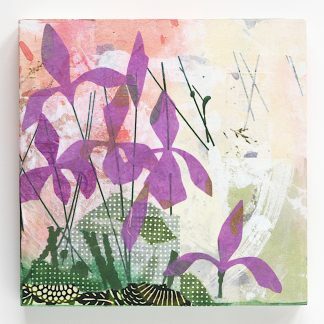 Collage is 6″ x 6″ and ships with an 8″ x 8″ acid-free archival white mat and sturdy backing.